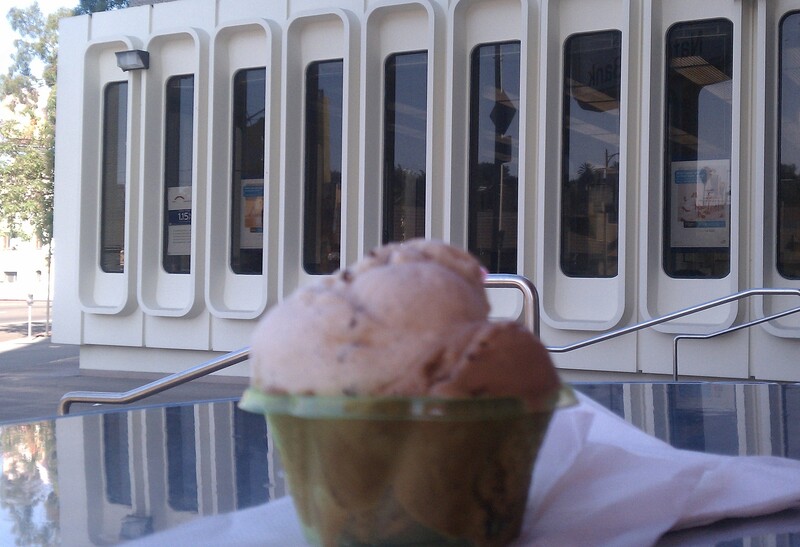 The Silver Lake gelato establishment opened a 2nd gourmet ice cream shop inside a favorite Echo Park building, the 1966 Rolf K. McPherson 8-storied Citibank monolith. How better to savor Italian ice cream than inside a delightful Mid-Century gem? Long, modular windows frame the cute street-level space, artfully designed with period tables and bright, orange chairs. 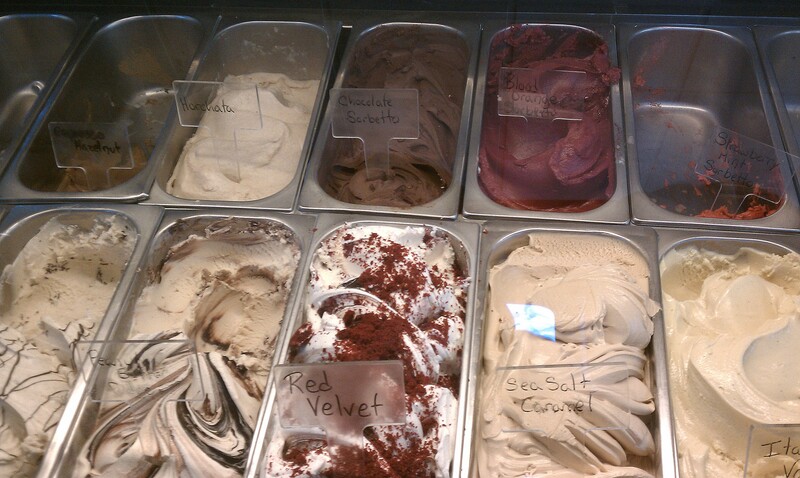 The Echo Park location houses sandwiches, coffee, and pastries in addition to gelato and seasonal sorbettos. 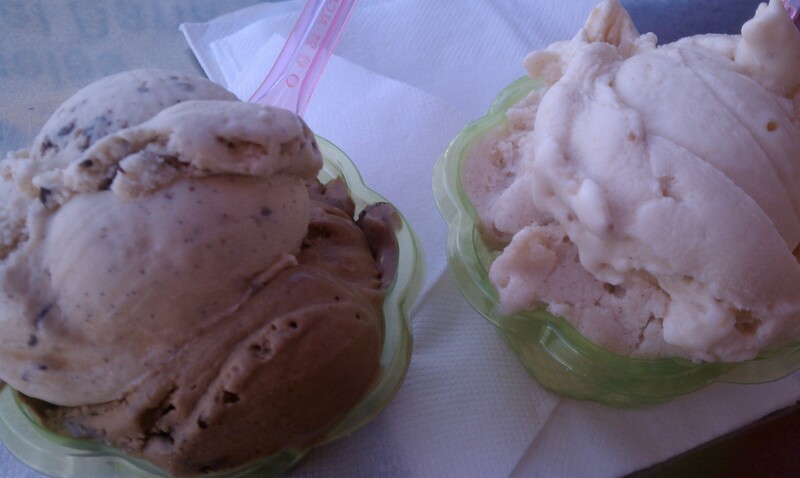 The powerhouse triumvirate that’s always been a winsome combination: stracciatella, espresso, and plain ol’ vanilla. For those who like to have their gelato al fresco, there’s outdoor seating to capture a view of Taix and people-watch. Parking is provided behind the store front.